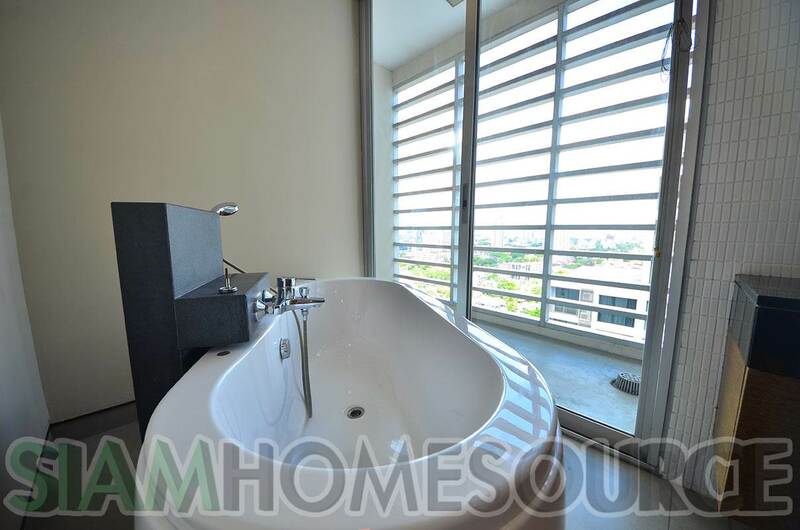 Walk to BTS/MRT: Yes - 8 Min. 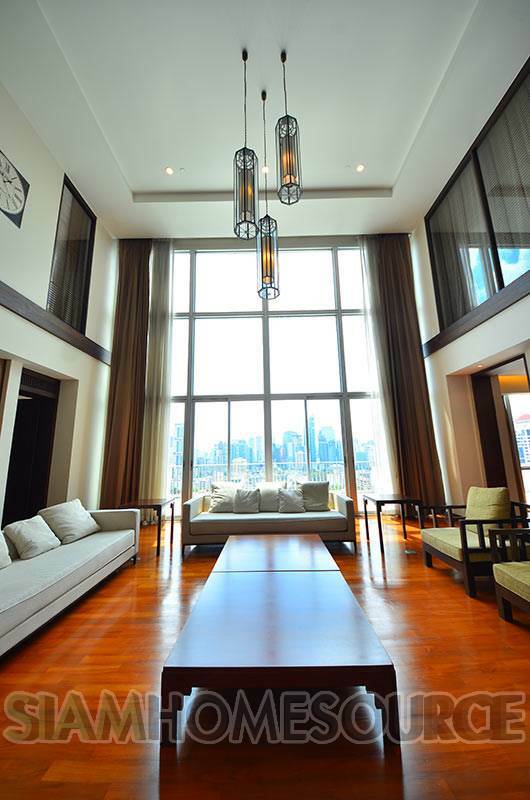 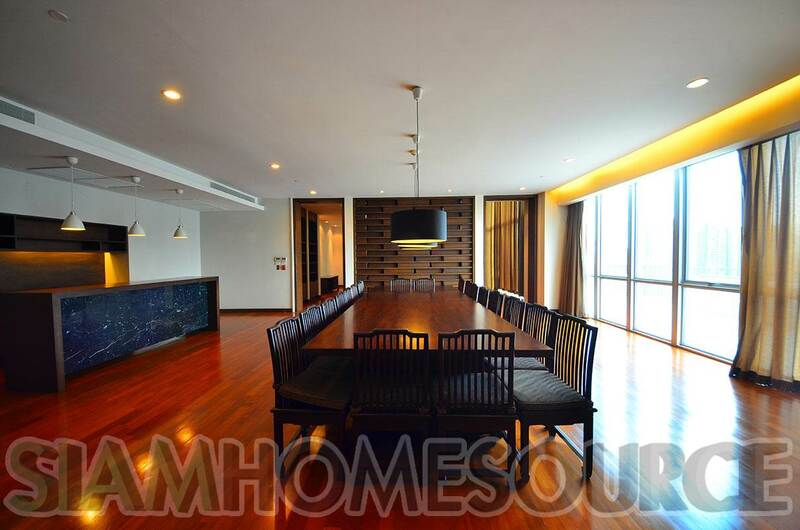 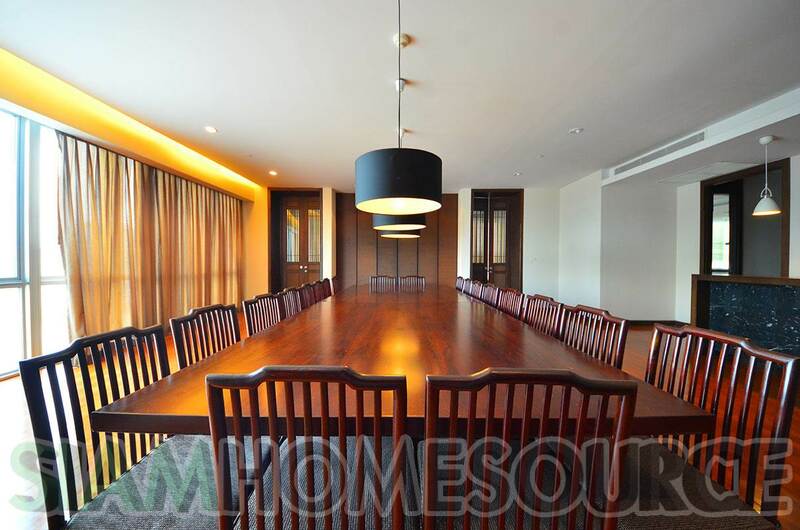 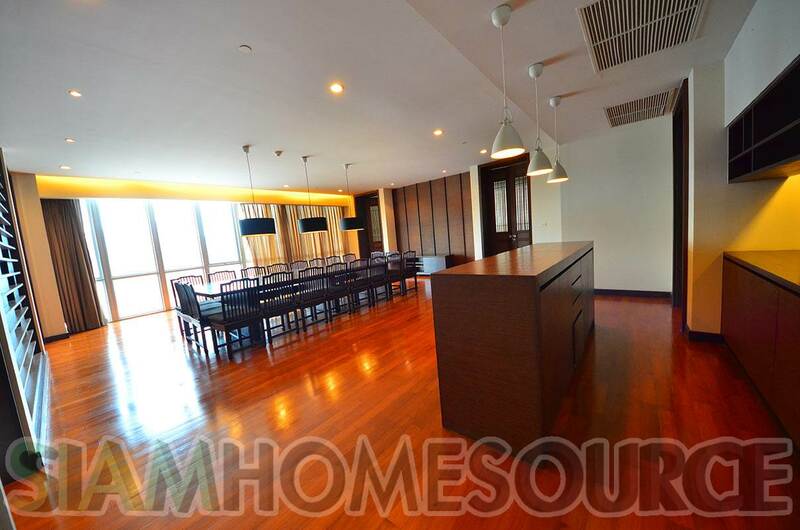 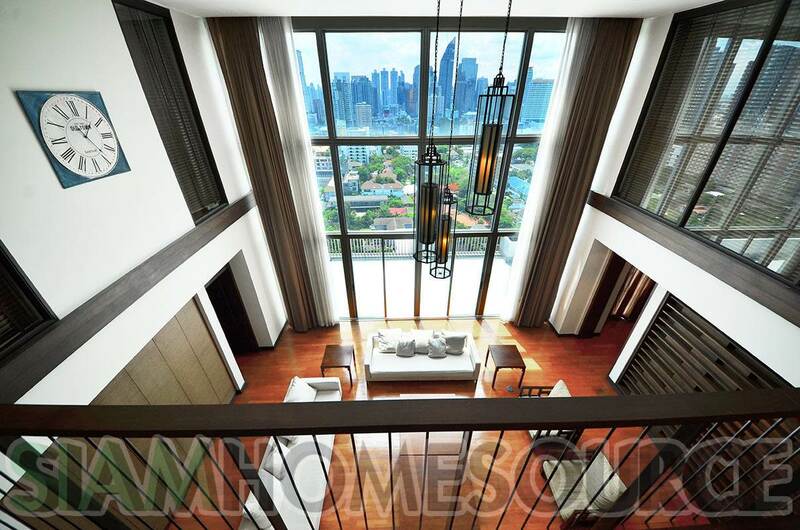 A once in a decade rental opportunity, this Bangkok penthouse is the optimal home for an ambassador, CEO, celebrity or other distinguished tenant who requires supreme space and a perfect location. 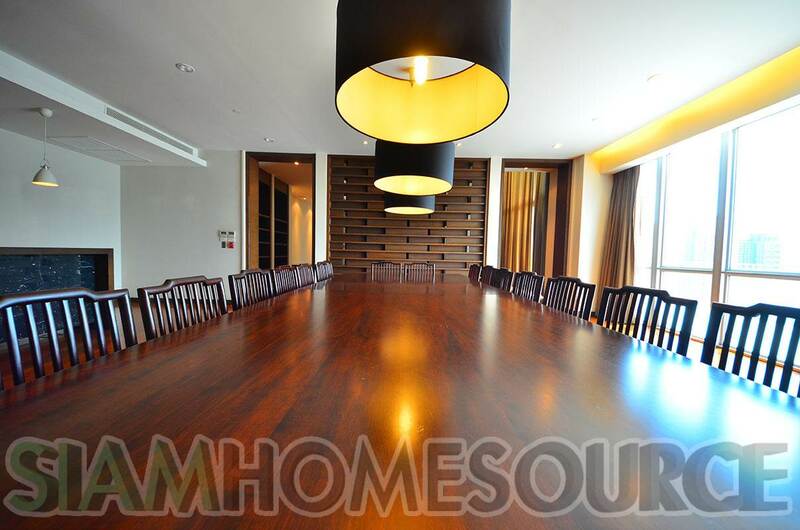 The enormous 550 square meter executive penthouse is laid out for entertaining large groups of friends and guests as well as being a comfortable home for a family. 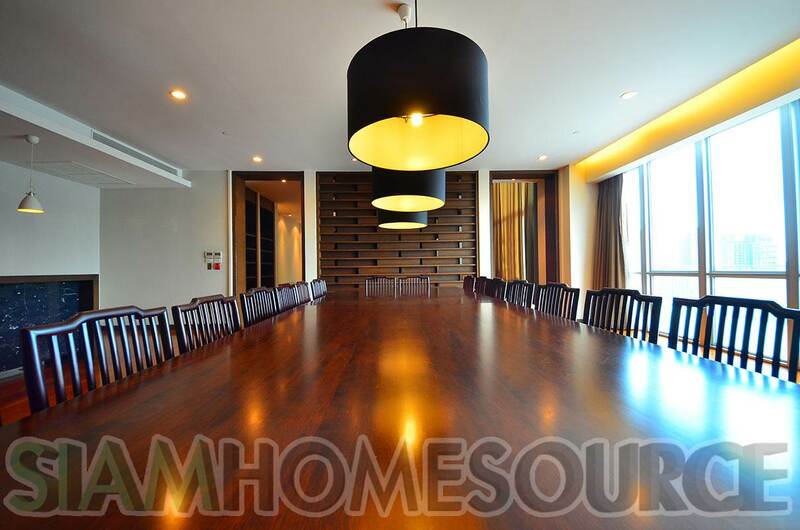 On the first floor you will find a spacious living room with 6 meter tall ceilings, a spacious dining room with a 20-chair executive dining table, a bar, a large meeting room, fully equipped closed Western kitchen with 2 attached maid’s quarters and a lovely, 150 square meter outdoor terrace. 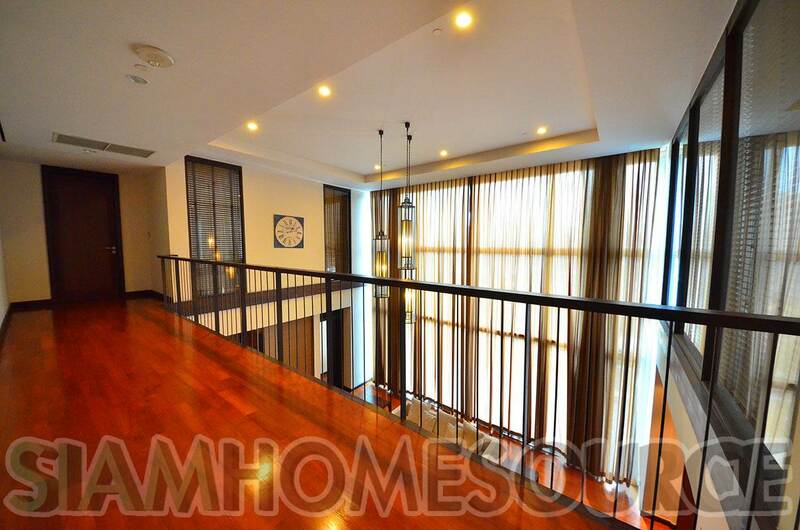 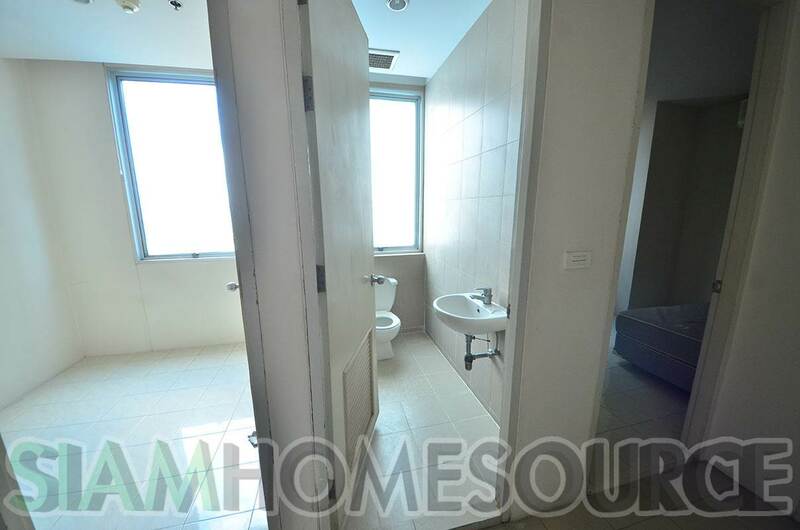 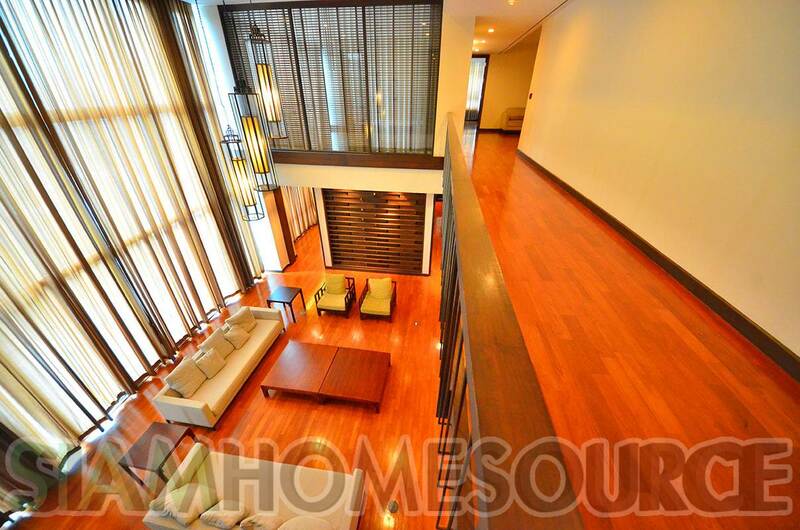 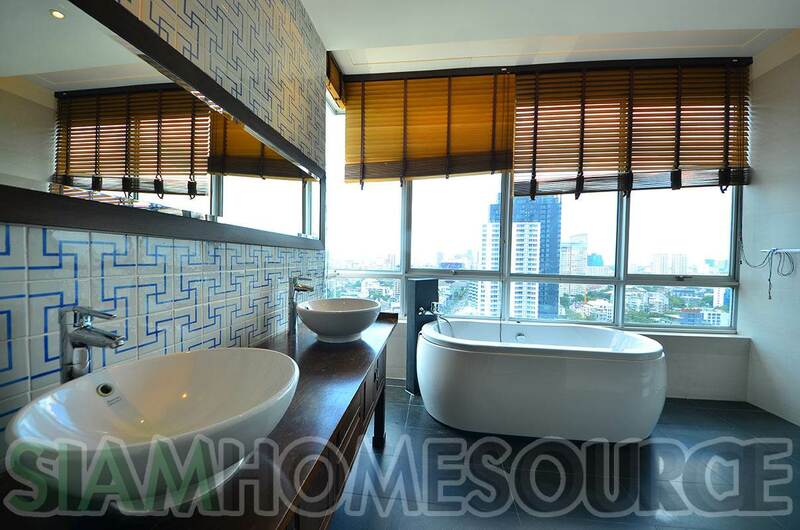 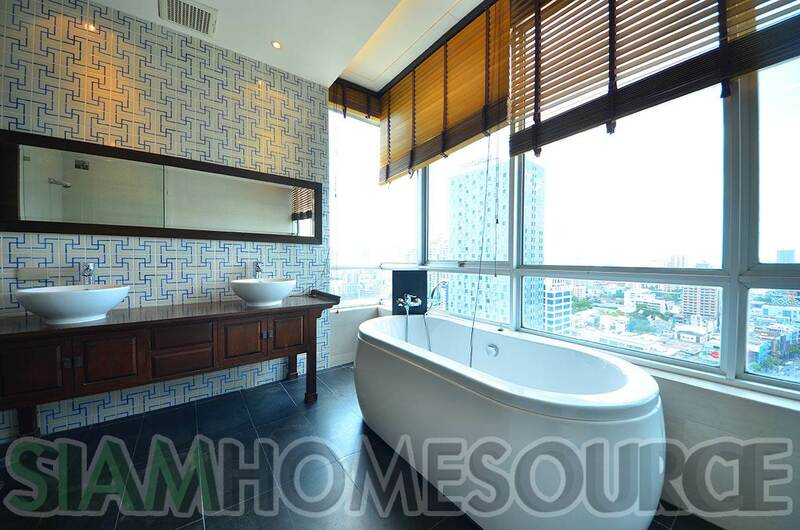 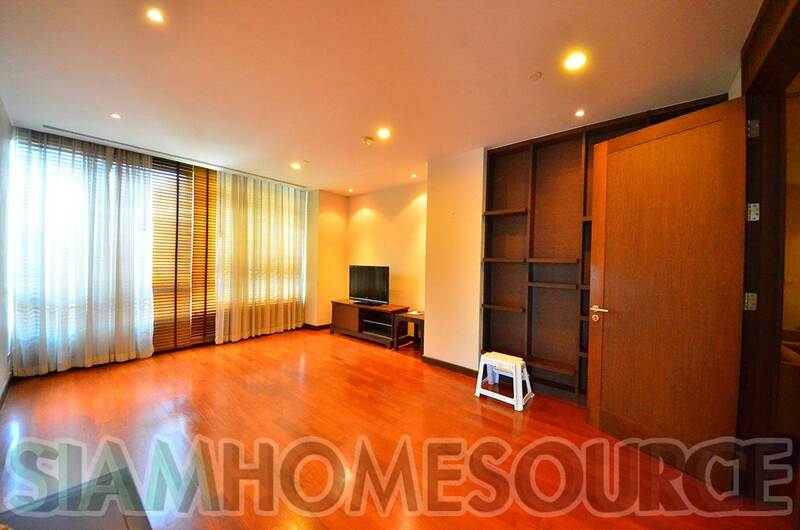 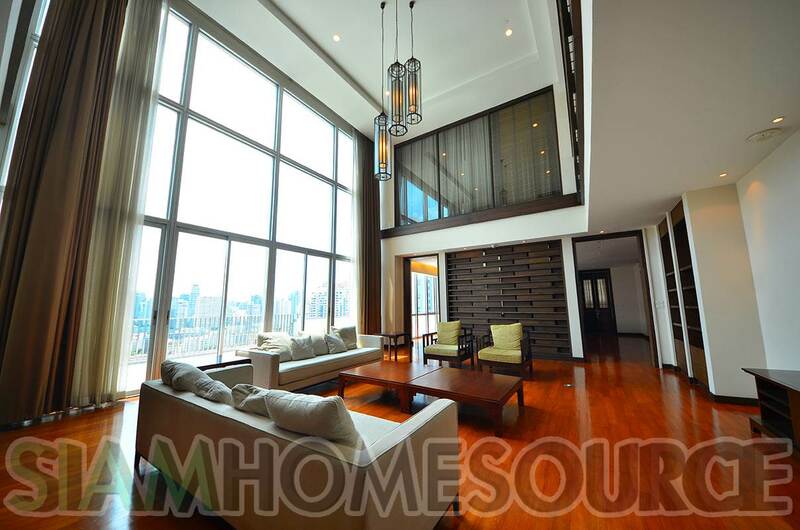 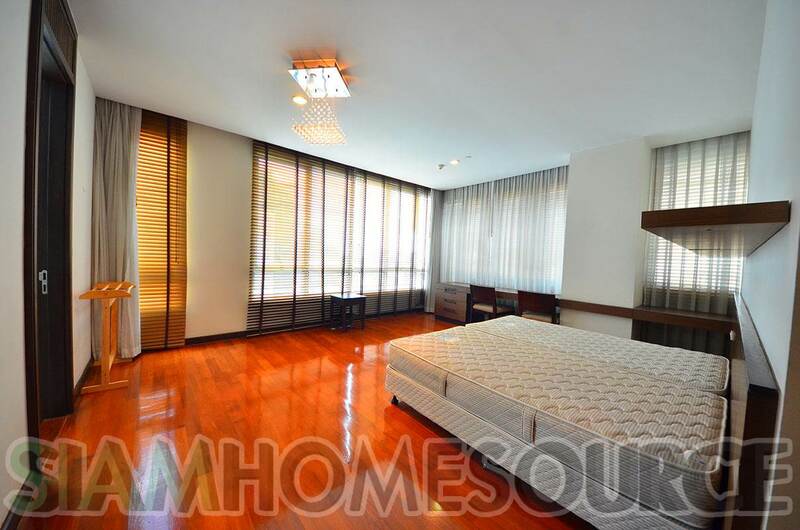 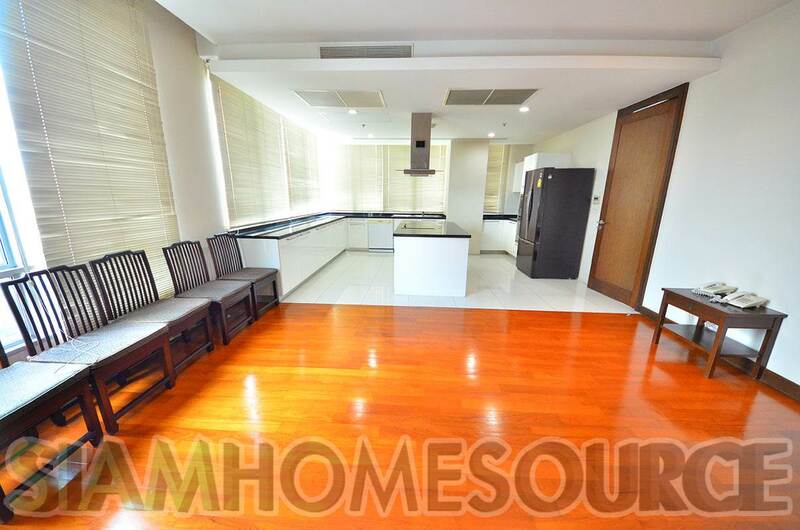 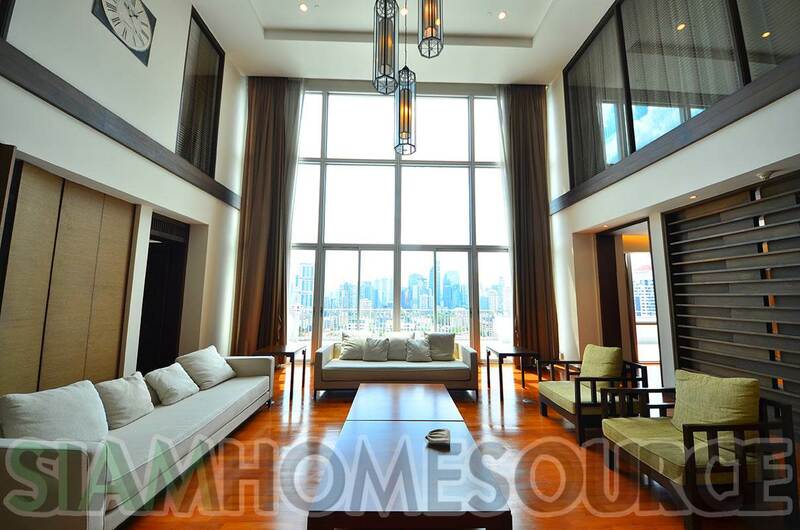 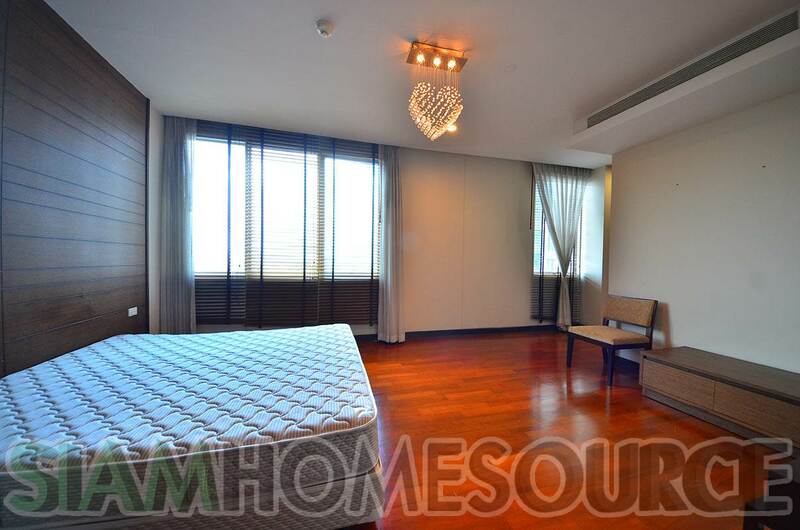 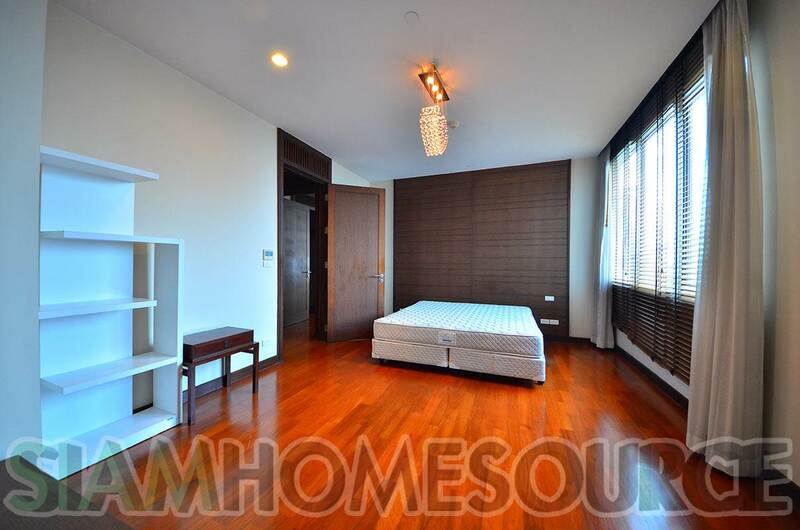 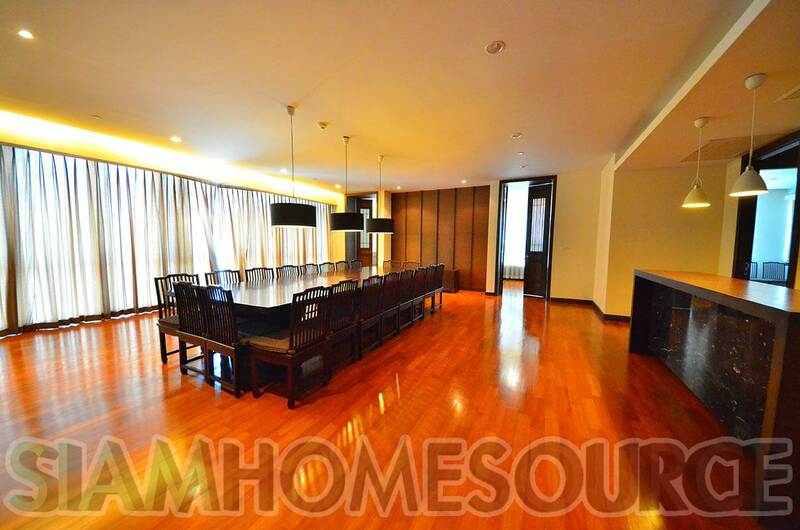 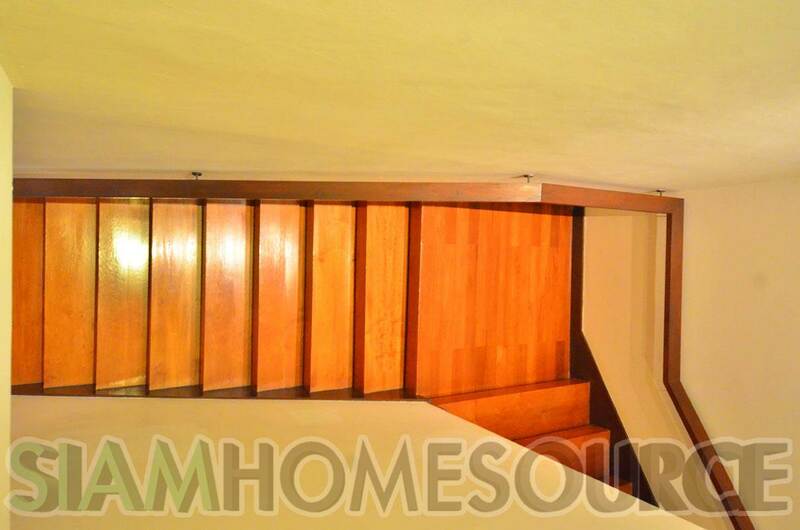 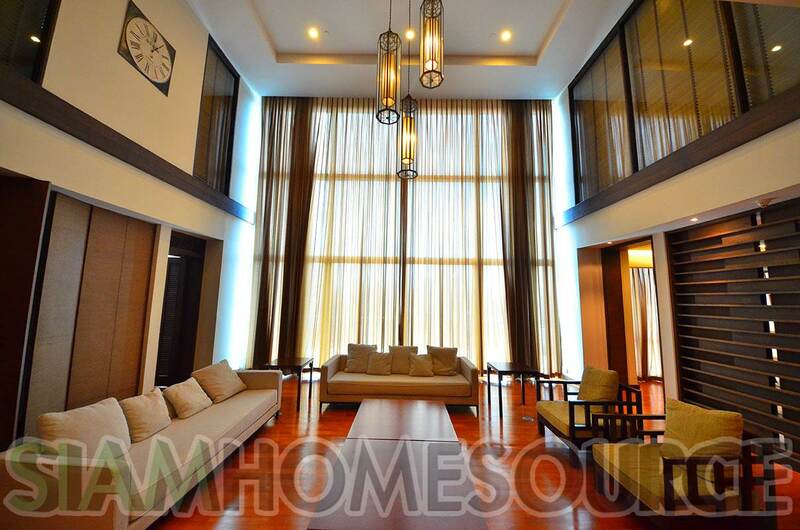 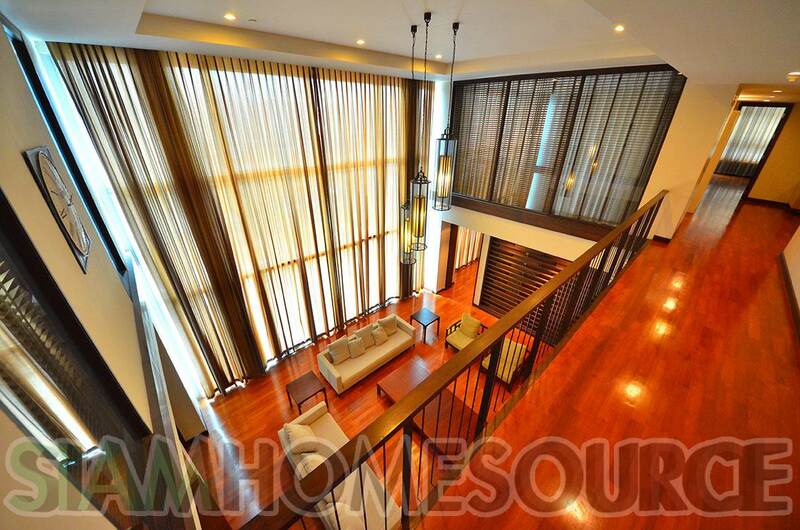 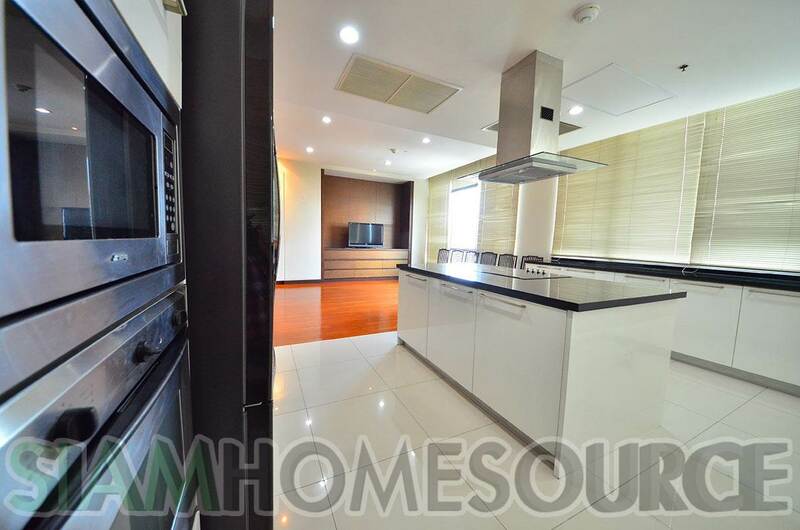 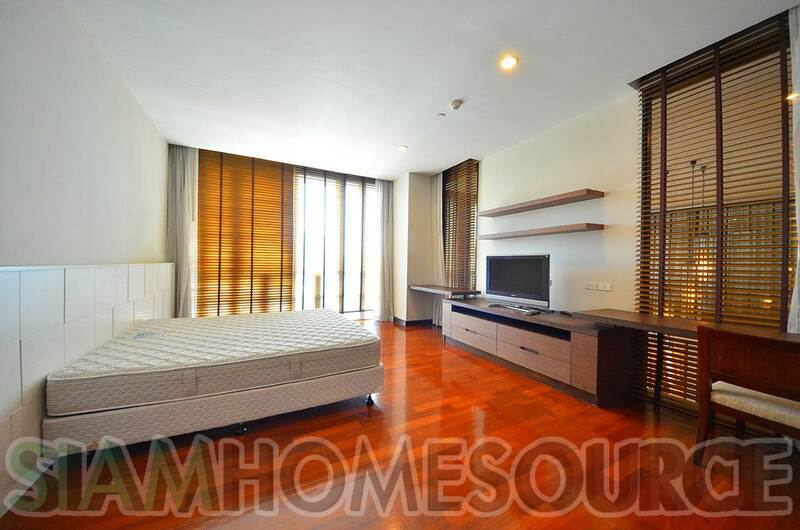 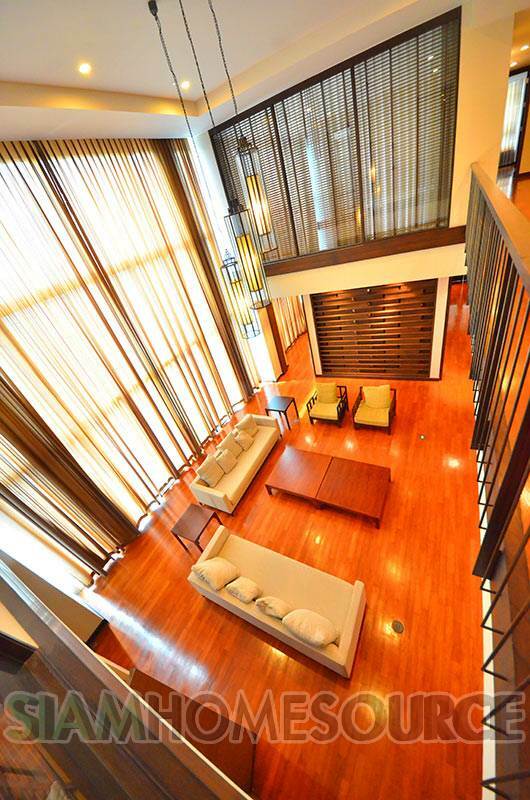 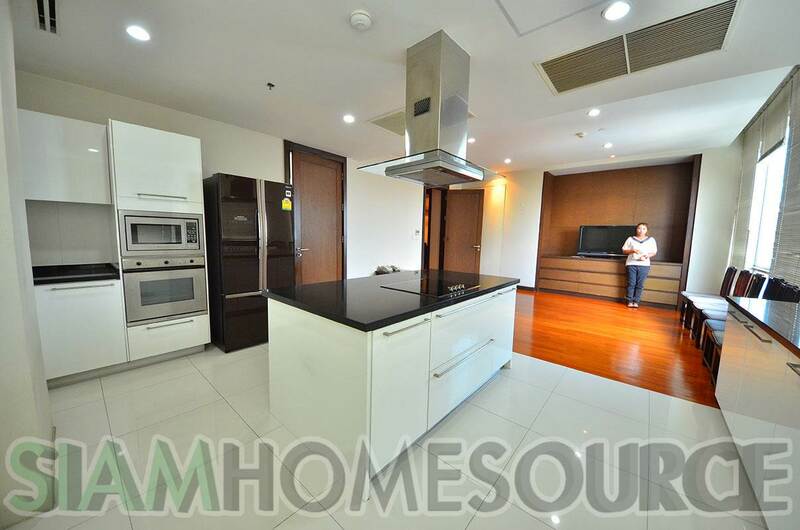 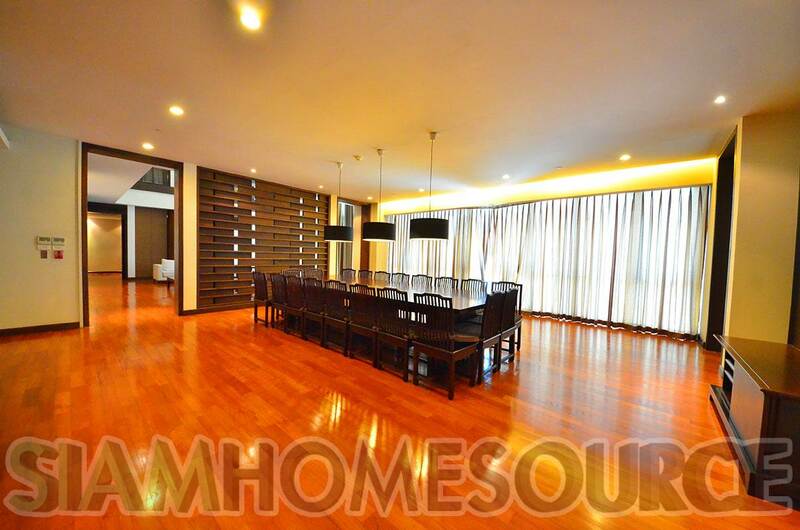 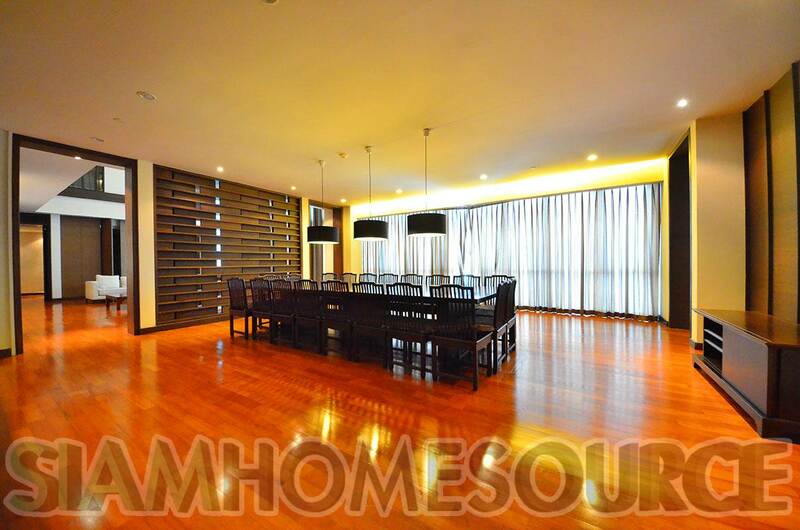 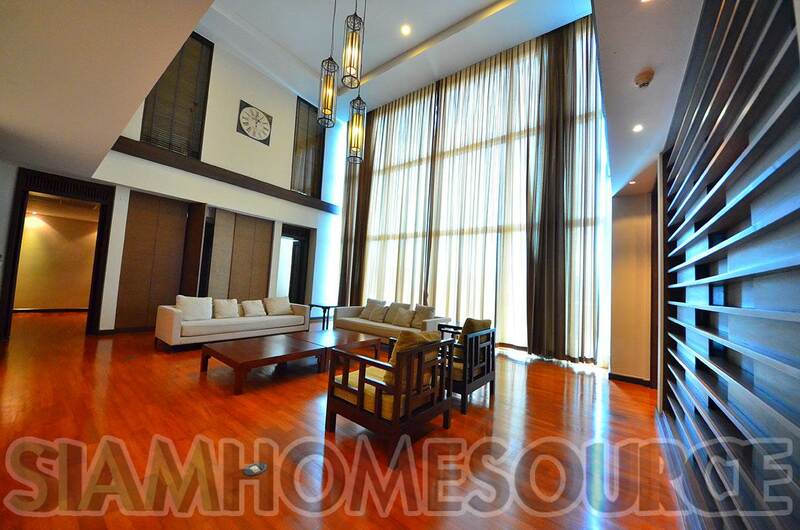 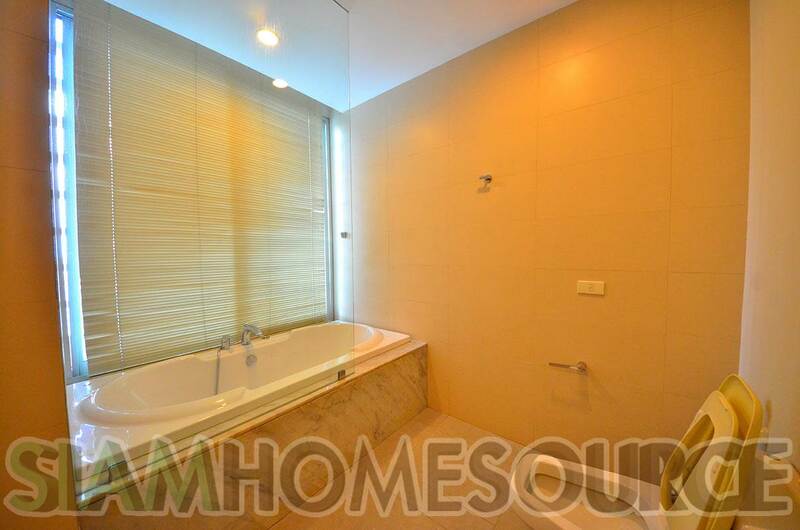 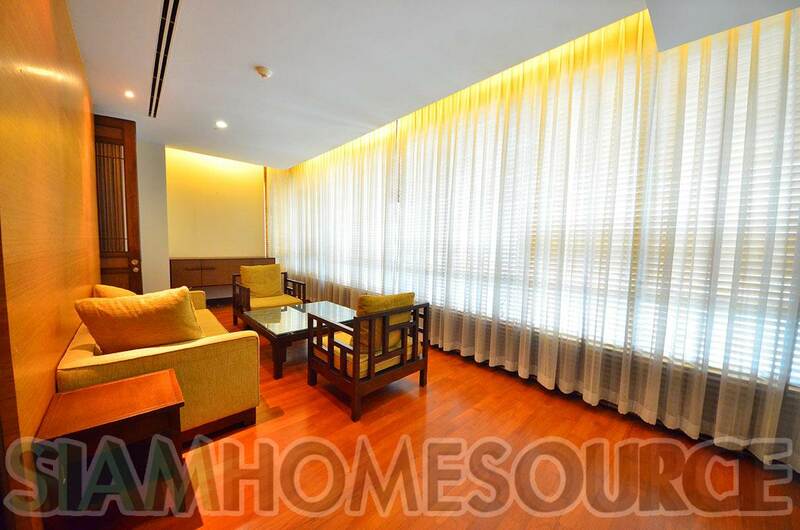 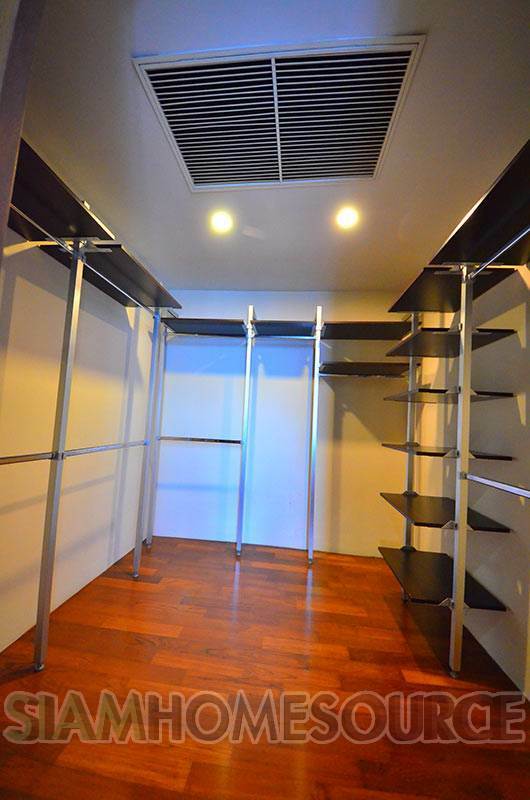 The second floor of this Bangkok penthouse is solely the living space with 4 bedrooms, all which have ensuite bathrooms and large walk-in closets. 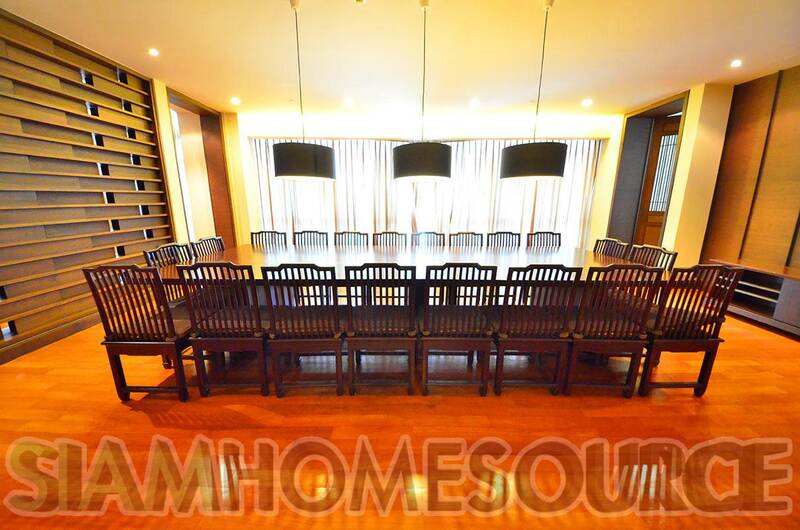 This layout is great for keeping your busy social life from your family life. 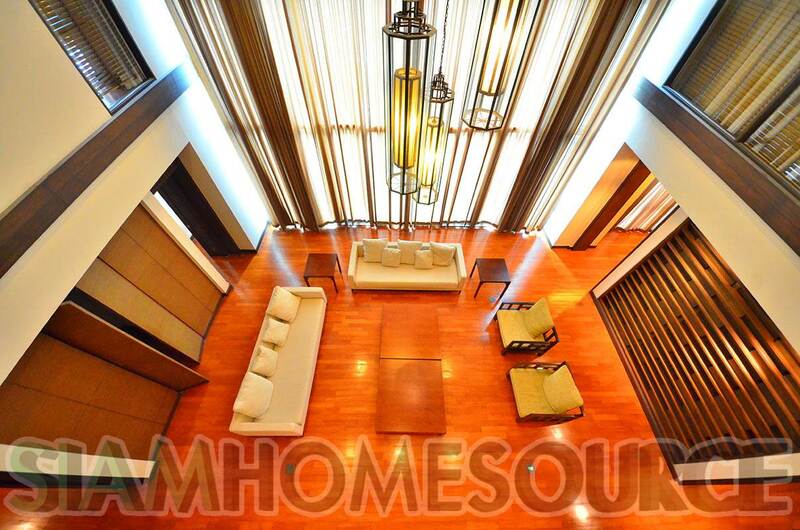 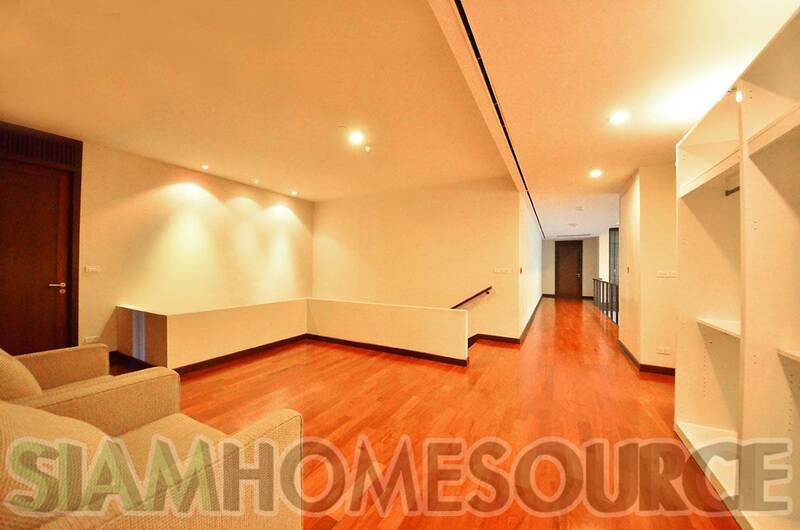 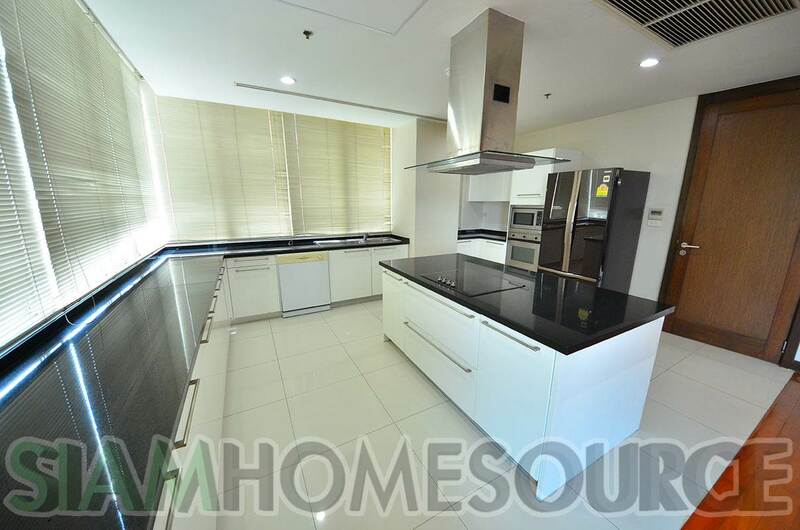 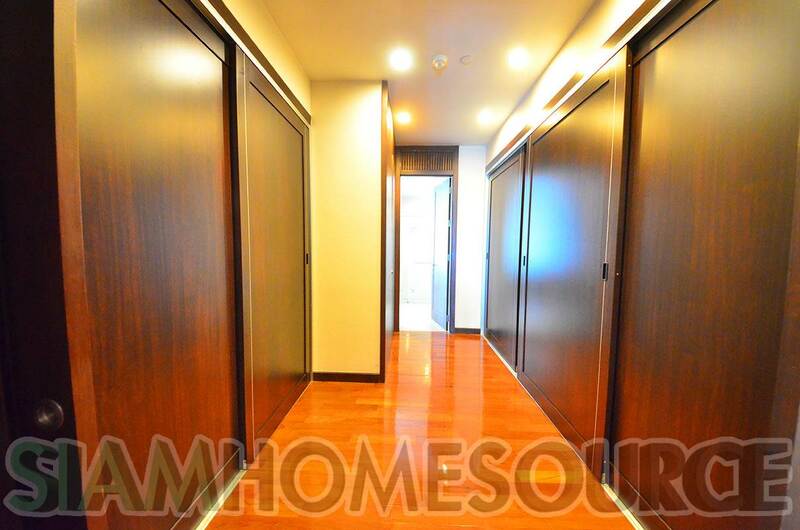 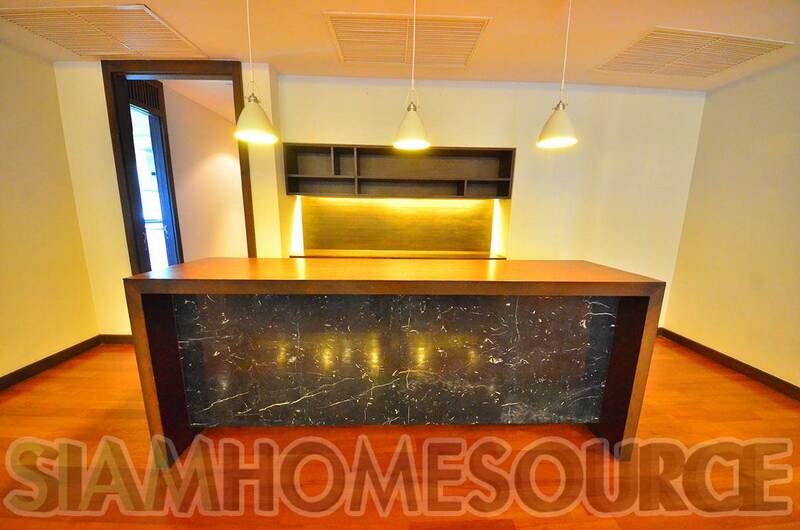 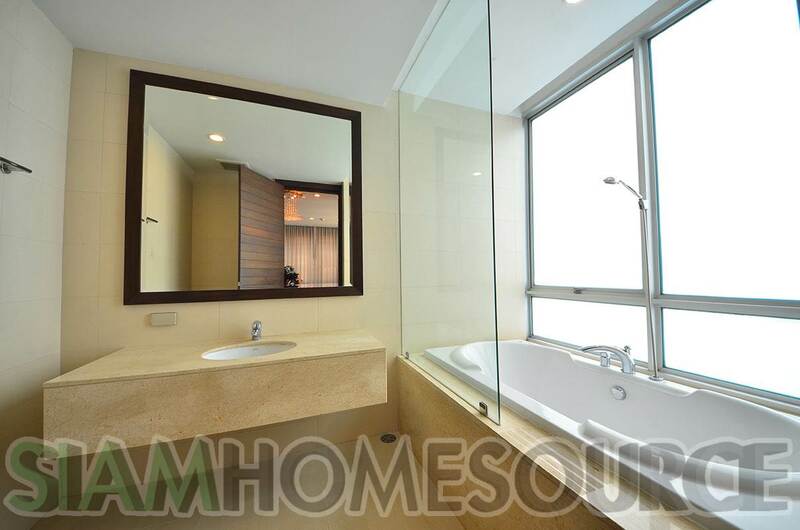 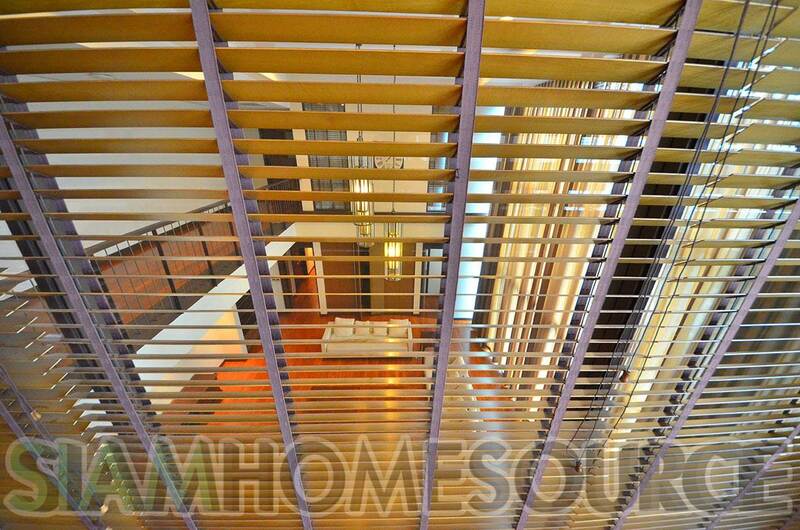 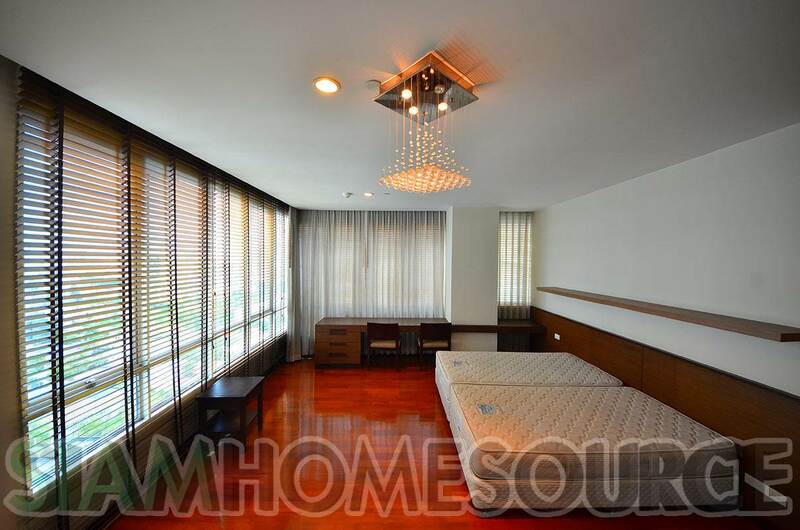 Location is always crucial for any piece of luxury real estate and this penthouse happens to be in possible the perfect location which is super convenient to both the Thong Lo BTS sky train and all of the venues which makes Thonglor the most upscale, sophisticated neighborhood in Bangkok. 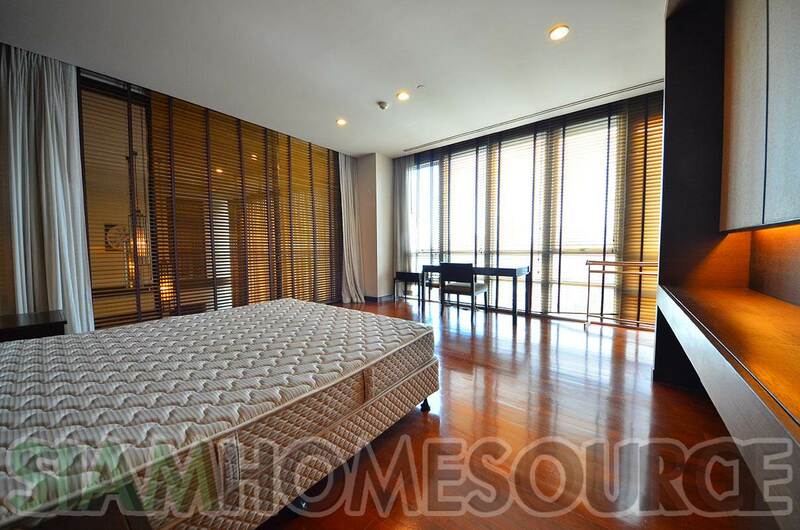 The Thonglor highrise features a covered swimming pool, fitness room with sauna, a children’s play room and squash courts. 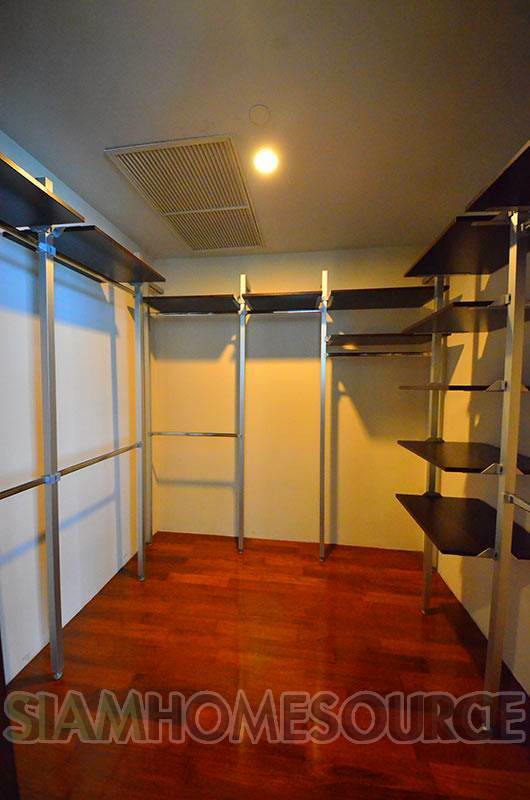 The monthly rental price is negotiable for personal leases.